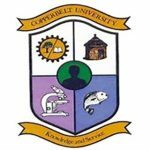 The Copperbelt University Health Services (CBUHS) is one of the most important support units of the Copperbelt University. The CBUHS provides medical services to a community of 50,000 that comprise of students, staff and their dependants at the main campus along Jambo Drive, Michael Sata School of Medicine and Kapasa Makasa University Campus and the communities from Riverside and surrounding compounds of Chipata, Musonda and Mufuchani. Job Purpose: To plan, execute and supervise medical programmes for the provision of health care services to the sick and promotion of good health at the University. Advise the University Management on health matters and ensures that all health-related procedures in the Clinic conform to national Policies, Acts and Statutory Instruments. Note that only short-listed candidates will be communicated to.